Discussion in 'Replica Costumes' started by Askren, Oct 20, 2011. 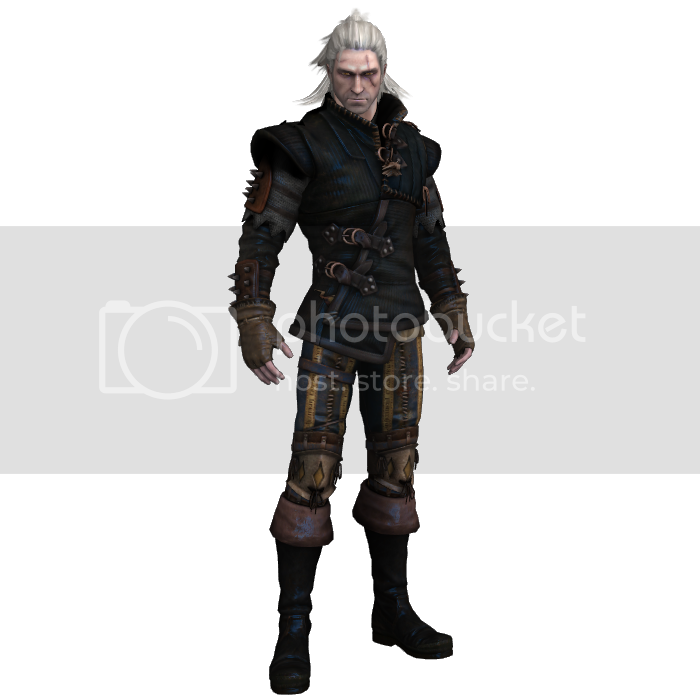 So I figured with ComiCon over, I'd get a jump on planning and researching for next year's costuming project, and I've pretty much set my heart on doing Geralt of Rivia from The Witcher series. I picked my favorite, the Raven armor, which carries between both games, but I'll definitely be adding the double-sword-baldric-thing from the second game, because it's a cool piece. This is the best picture I've found, so my current qualm is finding out what types of fabrics to use for the things like the pants, the jerkin, and the shirt. I want to try to do all of the crafting by hand, which is why I'm starting much, much earlier, I know absolutely nothing about tailoring or leatherwork. Also, I gotta figure out how to get my hair white.